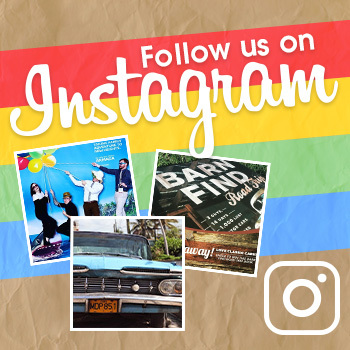 Don't say the word "recall..."
Don’t call it a “recall”—we’ve heard that word enough around here lately. 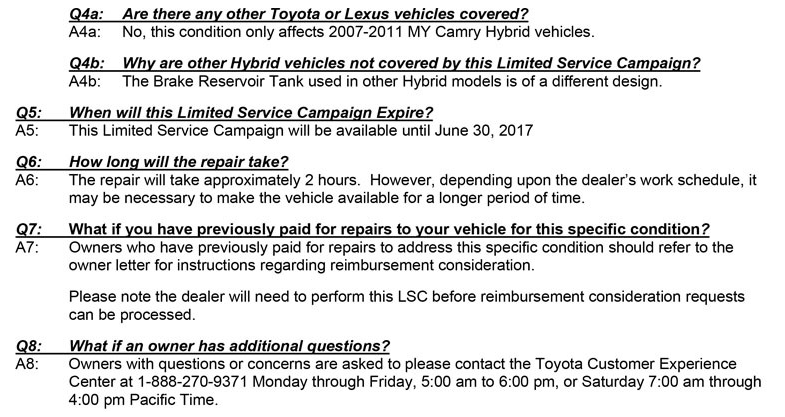 Seems Toyota is trying to avoid using the R word as well by issuing a “limited service campaign,” rather than a full recall, to address concerns about the Camry Hybrid braking system. These concerns were first brought to light by Consumer Reports, which has been calling on Toyota to recall these vehicles for a while because of numerous issues with the braking systems. The issue in question is with a filter separating two chambers of the brake fluid reservoir. Over time, the filter can become clogged, which could lead the fluid level in one of the chambers to become too low, ultimately causing the power assist to fail. Consumer Reports first drew attention to this issue at the end of July, but it wasn’t until this week that Toyota announced its non-recall recall. 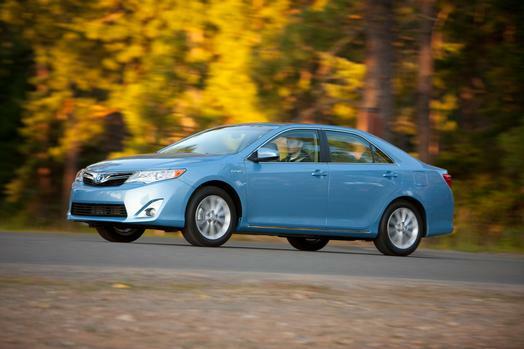 This limited service campaign affects approximately 177,500 Camry Hybrid sedans ranging from model years 2007 to 2011. Drivers can have their vehicles fixed free of charge at their local Toyota dealers. The repair should take approximately two hours total. Drivers who have already paid to have this problem fixed could have their money reimbursed from the automaker. Affected owners have until June 30, 2017 to have this work performed free of charge.